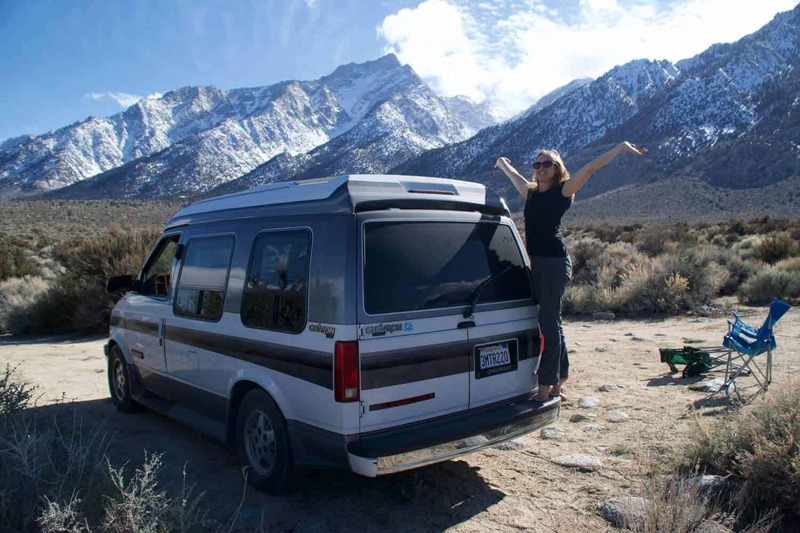 Is this the year you’ll start living in a campervan full time? Congrats! 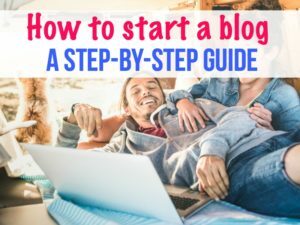 There’s a lot to figure out as you make a transition to a life of freedom, travel and adventure. 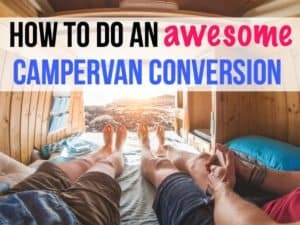 First, you’ll have to decide which type of camper van conversion you want, then you can get down to the nitty-gritty of the best campervan gear. 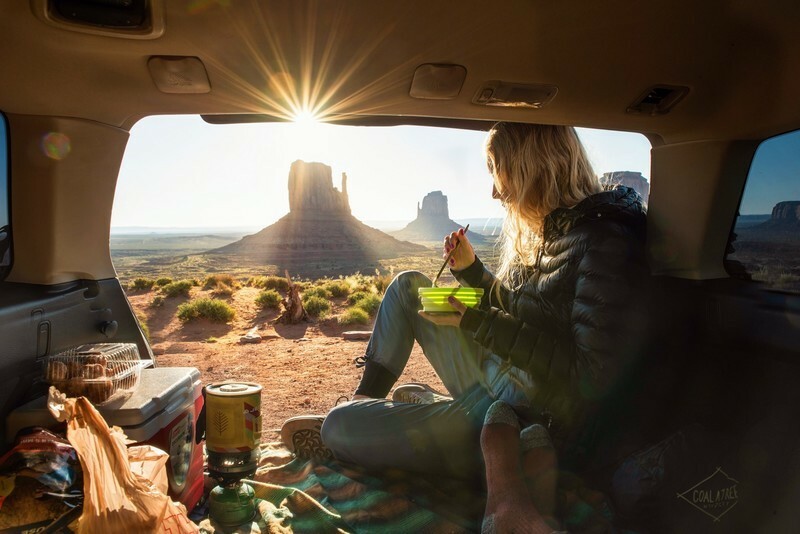 Van life can either be super fancy, like a custom van conversion or a campervan conversion kit, or you could grab a few of these campervan essentials and start your build. 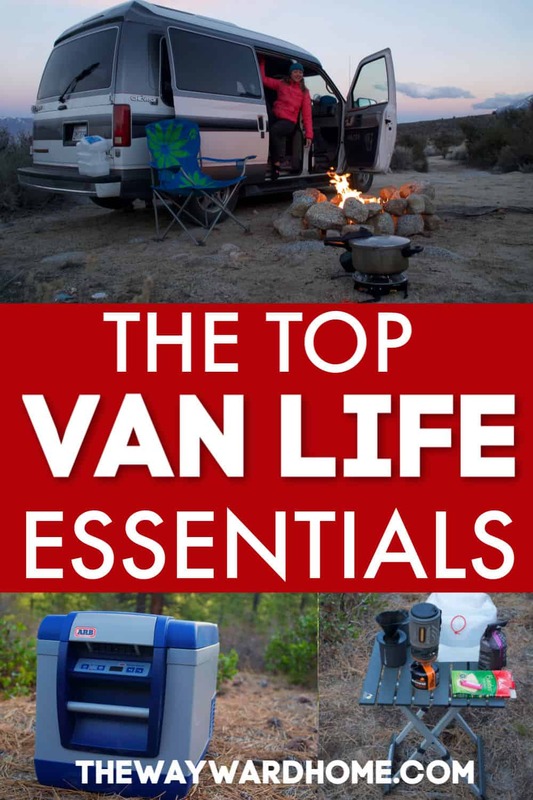 Here are items I’ve used and loved while living in my Chevy Astro van. Hopefully, they’ll help you out, too! 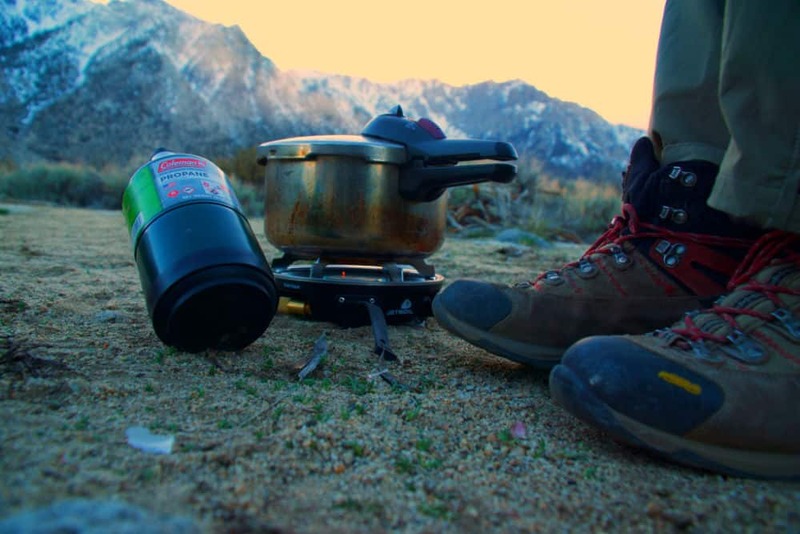 We just love this small one burner camping stove called the JetBoil Half Gen. 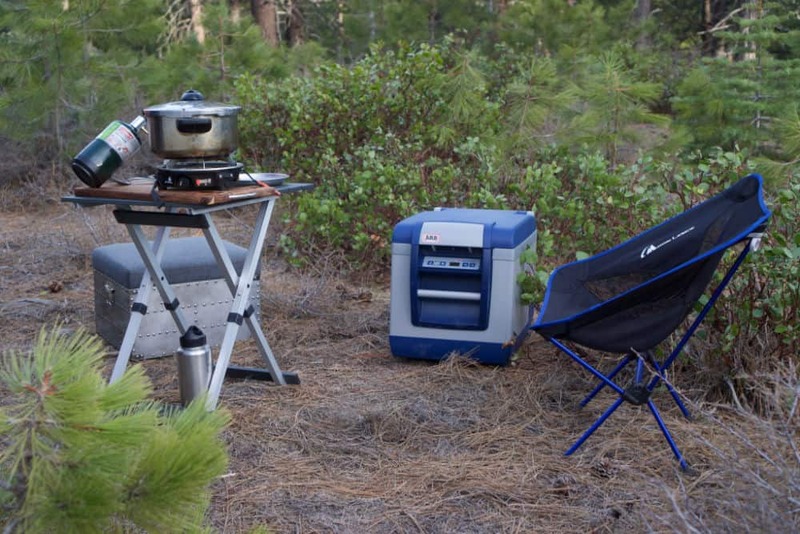 This stove is very small and portable, fitting into a black carrying case. Before, we had a one burner that ran on butane, but found butane hard to find. It also doesn’t work at cold temperatures! The JetBoil Half Gen is sturdy and rugged. It also has great simmer control, which is hard to find in a camping stove! 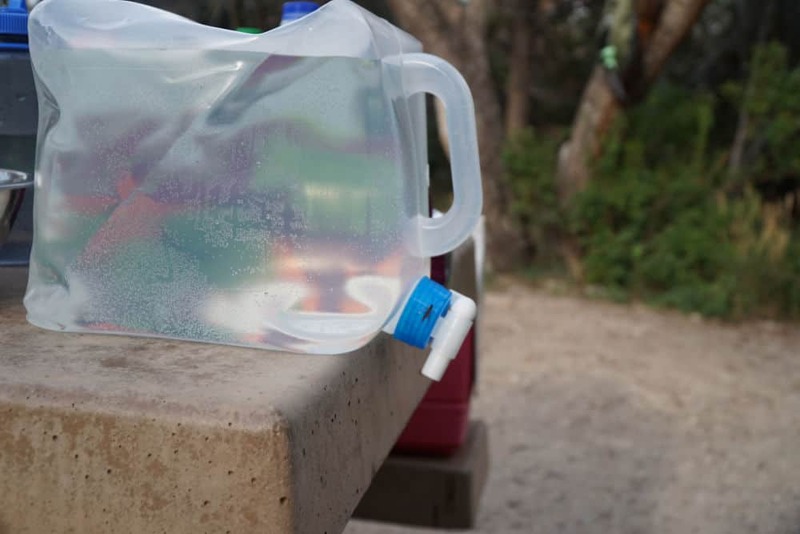 We use this plastic collapsible water jug all the time when we’re in our Astro van. The container folds to flat when not in use and then puffs up when full of water. It’s easy to set on the edge of a table to wash dishes, boil water for coffee or wash your hands. This jug is BPA-free, so you don’t have to worry about nasty chemicals. Finding showers can be hard when you’re living in a van full time, which is why we recommend investing in a solar shower. 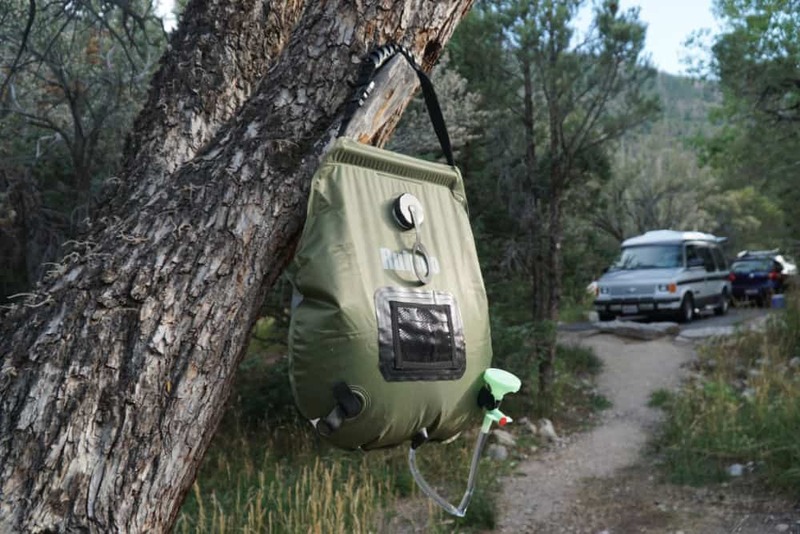 All you have to do is set the solar shower in a sunny place in your campsite, and the water gets really warm. We’ve used this all over the place, and nothing feels better than a warm shower after a sweaty hike in the backcountry. This camping chair by Moonlence folds down to just about one foot long and six inches wide. It’s really comfortable and yet another way we expand our campervan’s living room. This compact chair can hold up to 242 pounds, and you won’t even notice it when its store in your campervan. The chair weighs only two pounds, which is amazing! This handy pure sine wave DC to AC power inverter can be plugged into your cigarette lighter and is powerful to charge things like laptops and tablets. 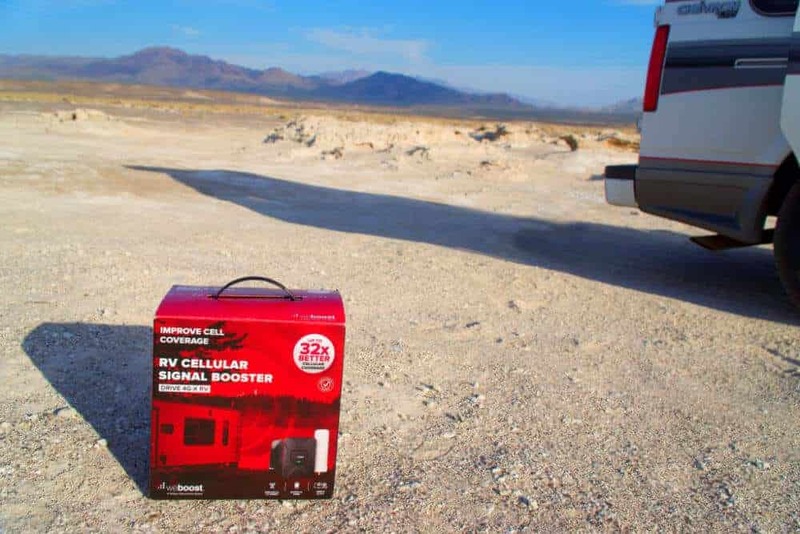 The inverter also comes with a couple of USB plugs for your phone. Could be a life-saver if you’re out in the woods and want to watch a movie or do some work on your computer. 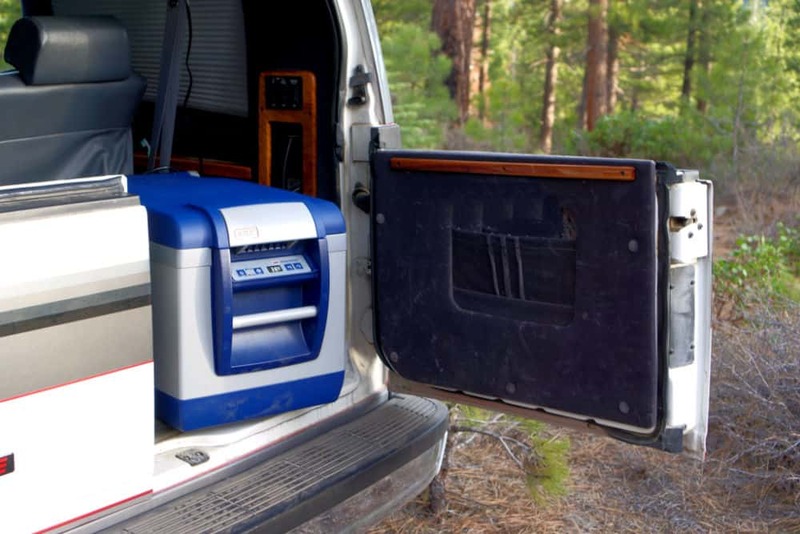 We use our pure sine wave inverter all the time, from charging my laptop, to keeping our 12-volt fridge cold. I can’t tell you how often we use our Bluetooth portable speaker. It’s great for our sailboat and for our Chevy Astro campervan combined! A Bluetooth portable speaker is small enough to store but packs a big punch for music. Who wants to listen to music from a smartphone speaker? We use the Sony XB-20 with Extra Bass and it’s been more than enough to play our favorite hits. 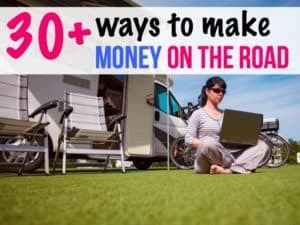 There are so many items for living in a van full time that we haven’t tried yet. However, these have been recommended by other van lifers I follow and are on my wish list! 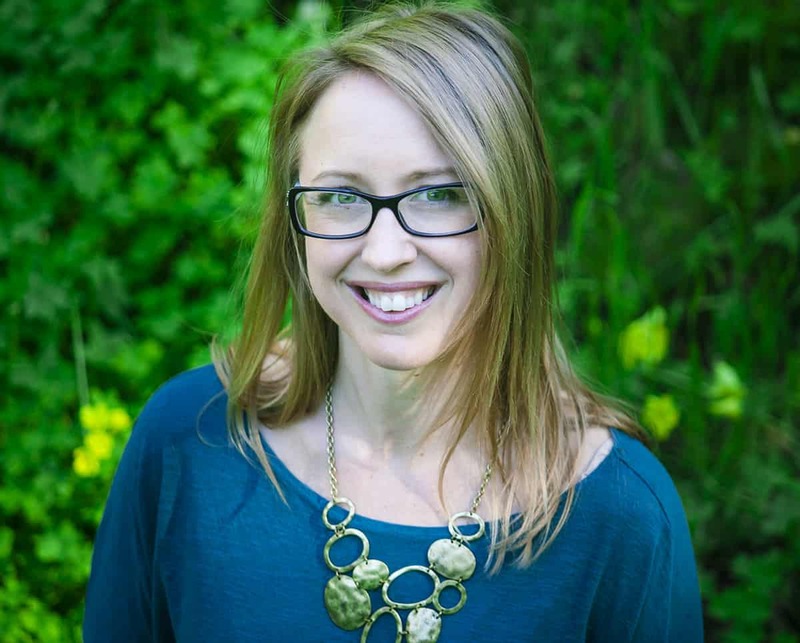 You may find some of these items useful! 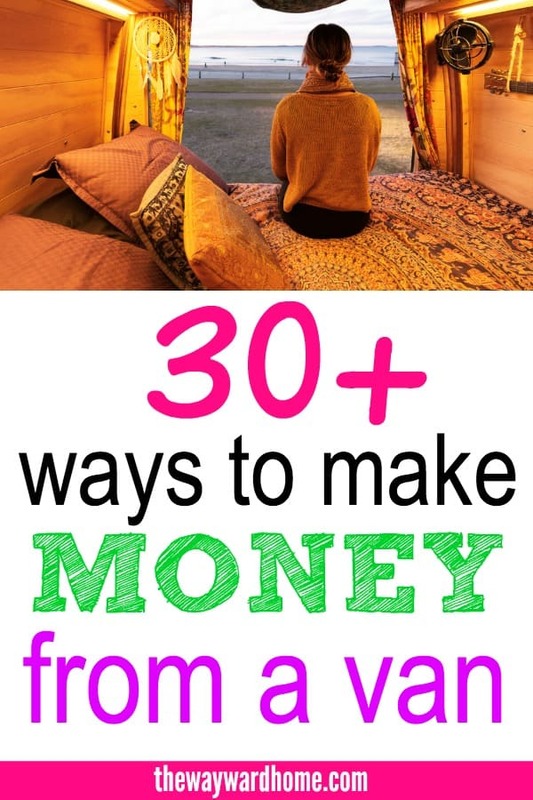 Sometimes, it can get chilly inside your camper van as the temperature outside dips. If you don’t want to stay huddled beneath your sleeping bag or blankets all evening, try out a tiny heater. A propane heater like the Mr. 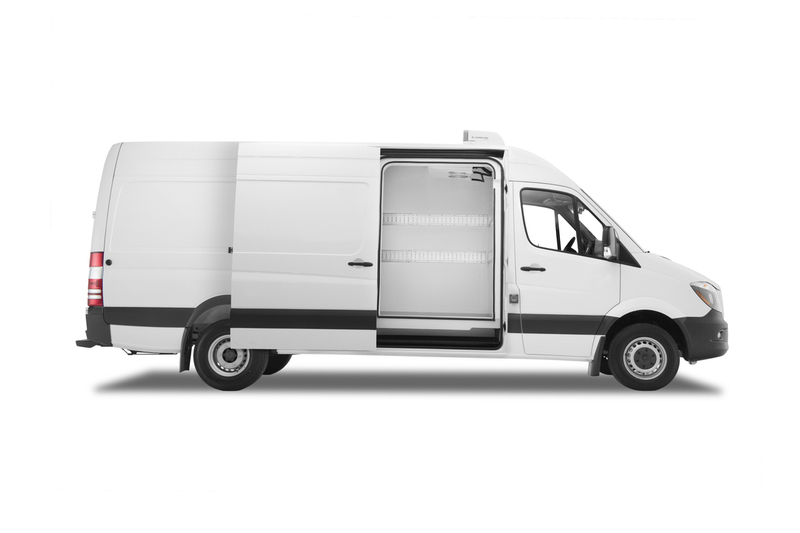 Buddy heater is popular among van lifers as it doesn’t use up any battery power. However, these heaters create carbon monoxide in your campervan, so it’s important to leave a window cracked and have a carbon monoxide detector. 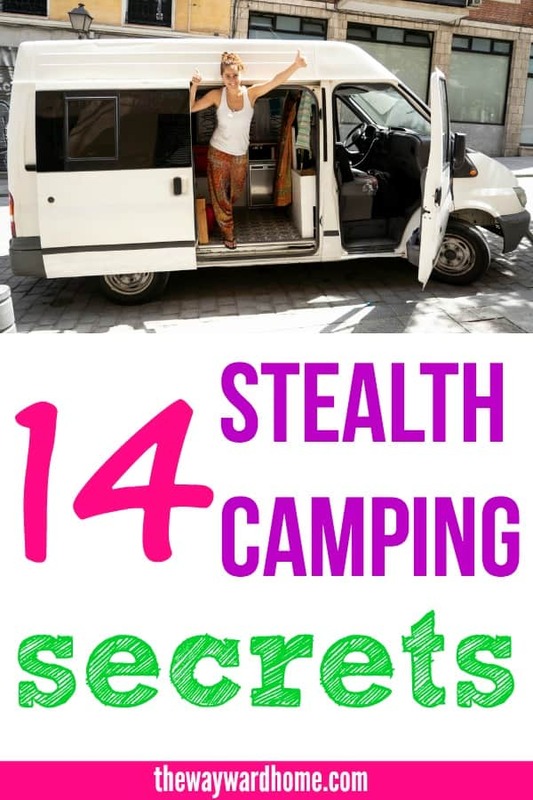 You can learn more about staying warm in your van with this post: 11 hacks to staying warm in your campervan. Nothing is better than a cozy blanket to wrap around yourself when reading a book in a van or sitting outside with morning coffee. 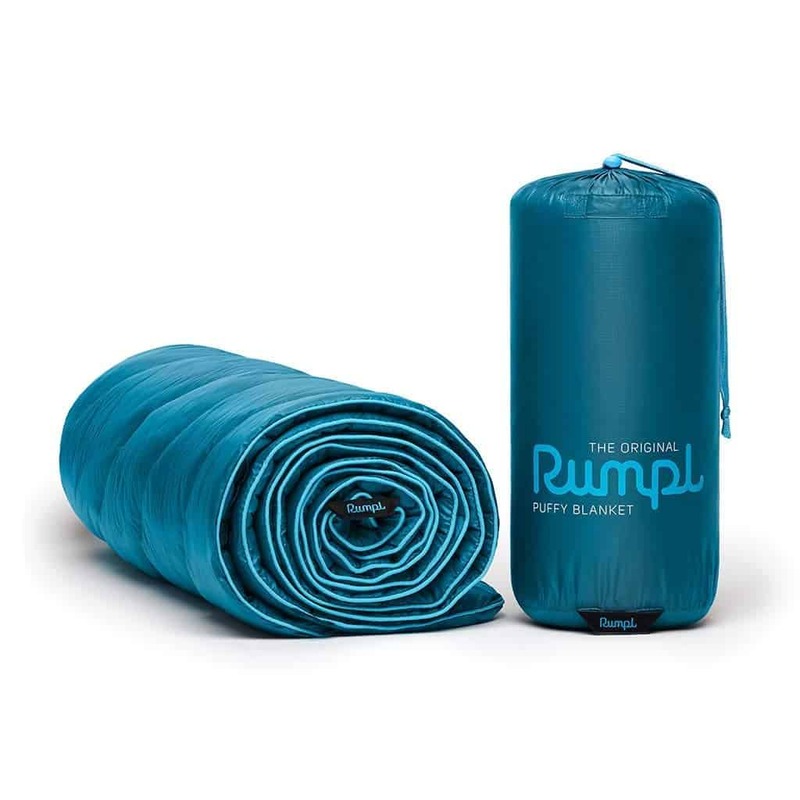 These Rumpl Puffy Blankets are light and packable, fitting into a small, waterproof stuff sack when not in use. These awesome blanket are made with the same warm synthetic materials found in premium sleeping bags and puffy jackets, and are durable, waterproof and resistant to odors. You’ll want to make sure your campervan is well-ventilated, so a roof vent is a must. There are a few roof vents on the market that you can DIY install right into the roof of your campervan. These pull nasty smells out of your van and also draw into fresh air from the outside. To read more about roof vents head here: The best roof vents for a campervan. We had to be super undercover while living in the Prius, and having sunshades over the front windows helped a lot. People couldn’t peer into the car as easily to see if someone was sleeping back there. A sunshade not only just keeps you hidden, it also keeps the heat down on sunny days. This is high on my wish list right now for my Chevy Astro van, as it bakes in the sun! These small Wolfyok microfiber towels work like a dream and are small enough to pack into a campervan. Microfiber towels are absorbent and quick-drying – they dry much faster than a terry cloth or cotton towel. They’re also lightweight and compact, weighing only 8 ounces. 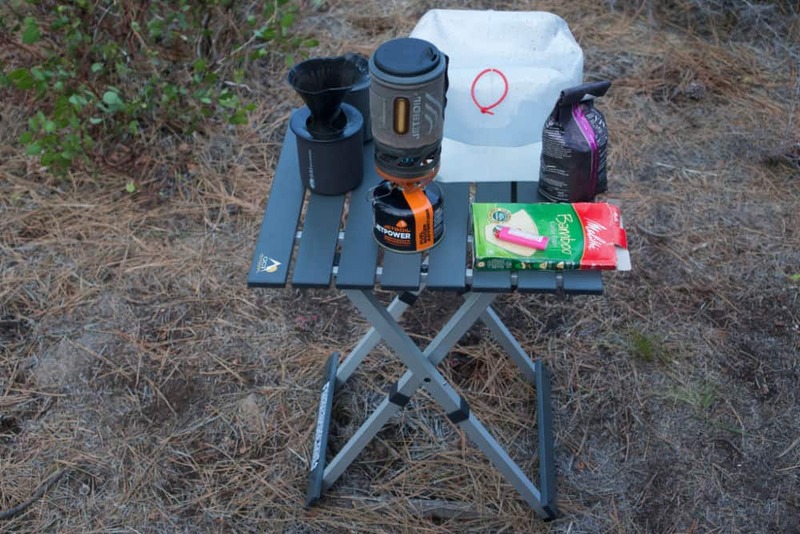 We’ve taken microfiber towels backpacking and hiking, and love their portability and performance. 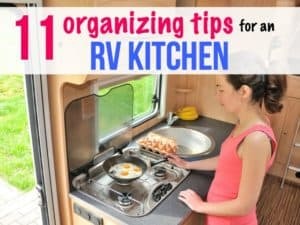 What items can you not live without during your van life or car living explorations? I’d love to know! I love this! My wife and I are trying to figure out how we can somehow achieve van life with 2 dogs and 4 cats haha. Great list! I am so happy I splurged for the Yeti, only have to change ice once a week. That’s amazing. I think everything Yeti does is quality. My 50 dollar Coleman 5 day holds ice for (at least) 6 days. We camped for Thanksgiving and still had ice 6 days later. Very similar performance in Oregon when I headed up for the eclipse out near John Day Fossil Beds and then drove through Oregon and the lava beds near 395 on the way home. I didn’t endurance test that trip since we were out in the middle of nowhere – once an ice restock was available, we took it. The most important cooler thing I’ve done is save a few of the big widemouth plastic jars that nuts come in from Costco. Once they’re empty, fill them with water (not all the way to the top!) and freeze them. Instant, non-pooling block ice. I have a half-dozen; they occupy the bottom of the cooler, giving me a level platform to put food on. On the road, once they’ve finished melting, the containers can be refilled with party ice – and you still won’t be fishing your food out of sludge. Great idea, I’ve always used milk jugs but wide mouths and flat tops sounds way better. Now all I need us a Costco membership. You know, I’ve always wanted to get one of those Scooby Doo vans and drive it along the coast. I’ve actually seen a van with a paint job like that. I would definitely want some kind of porta-potty; there are some fold-up varieties that take very little space. Interesting idea……I personally wouldn’t use a potty in my van but I know a lot of people like them! I am considering starting with my ford freestyle. Good article & an excellent way to articulate. Keep it up. Keep up the great work!